Branchfood is hosting IDEATE, a day-long event highlighting innovative restaurateurs and entrepreneurs reinventing the industry in Boston and beyond. 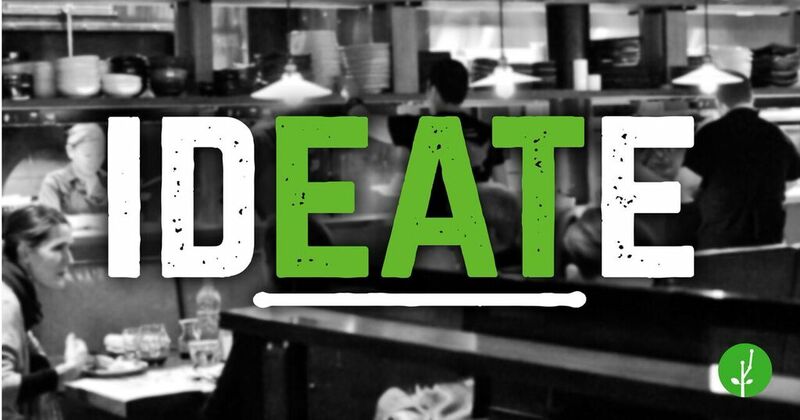 Branchfood, the largest group of food innovators in New England, announces IDEATE, a day-long event showcasing the innovative work of restaurateurs and entrepreneurs in Boston and beyond on Monday, April 4, 2016. The city’s large technology sector and booming restaurant industry prime Boston, both intellectually and geographically, to lead in entrepreneurial opportunity. The event will serve as a platform for discussion of Boston’s restaurant scene, opportunities for innovation, new technologies, and resources available to new restaurateurs and entrepreneurs. "We're thrilled to host this event uniting entrepreneurs and restaurateurs in Boston," said Lauren Abda, founder at Branchfood. "Restaurants face unique challenges and are increasingly becoming early adopters of new technologies and services to solve them. We have some of Boston's best chefs, entrepreneurs, and industry members contributing to the conversation." Through IDEATE, suppliers, purveyors, farmers, investors, entrepreneurs, restaurant professionals, and community-builders will gather together to participate in this unique educational and networking opportunity. The event will take place at Community Work Services at 174 Portland St in Boston, MA. Morning panels will feature topics including investing, entrepreneurship, and the state of the Boston restaurant scene. After lunch, select startups will participate in a showcase. Additional panels in the afternoon will focus on the details of sustainable sourcing, monetizing brand and content, running social media, hiring and retaining talent, managing restaurant staff, and more. The day will end with a discussion on the importance of restaurants, their impact on the economy, and Boston’s role in the industry nationwide followed by an after-party at a nearby restaurant. IDEATE attendees will have the chance to network with industry members, make new connections, learn more about resources available to help launch new restaurants, and hear from Boston’s hottest restaurant tech businesses. About Branchfood: Branchfood is New England's largest group of food innovators. Based in Boston, they are the leading community of food entrepreneurs and pioneers who believe innovation will provide the necessary solutions to our greatest food system challenges. They host events, workshops, and networking opportunities to help food entrepreneurs grow their businesses and have co-working space for food entrepreneurs at their 50 Milk Street location in Boston.